With over 900 million users, Facebook is the biggest social network on the web and the public Facebook Pages are perfect platforms for creating a professional presence for your real estate business, for prospecting and for keeping touch with existing clients. 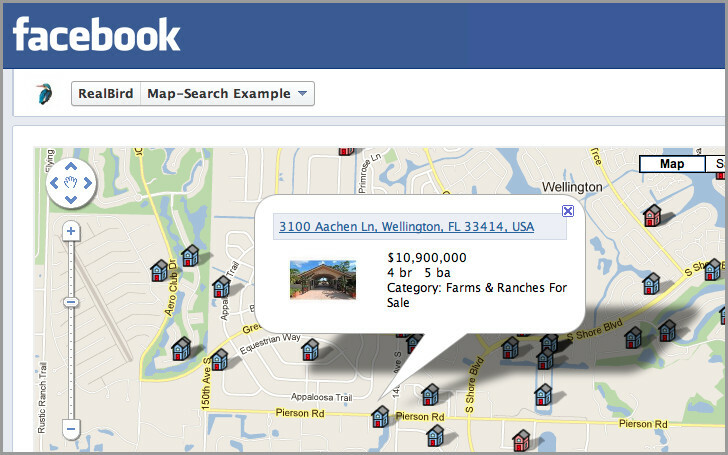 RealBird provides multiple ways to enhance your Facebook Real Estate Page: Set it up once and these interactive and visually engaging Facebook applications will be automatically updated with your featured listings from your RealBird account and home buyers will be able to search for properties with your private labeled map-based search application. 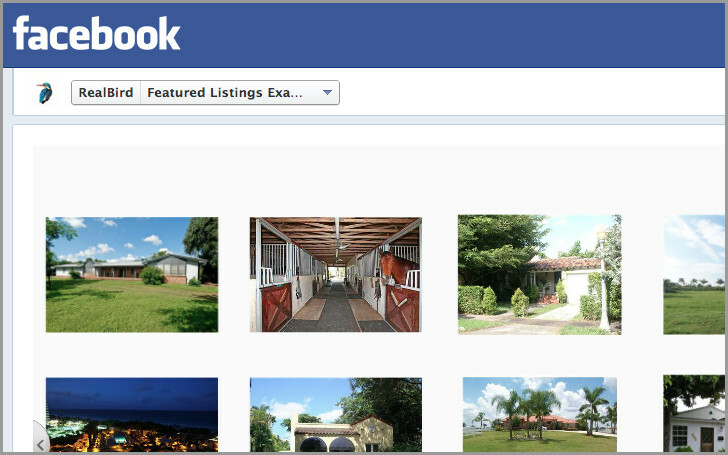 The Featured Listings Facebook application shows your own properties on a beautiful, interactive photowall layout. It is automatically updated every time you publish a listing on RealBird and your Facebook fans can click through to your single property websites and request more information. 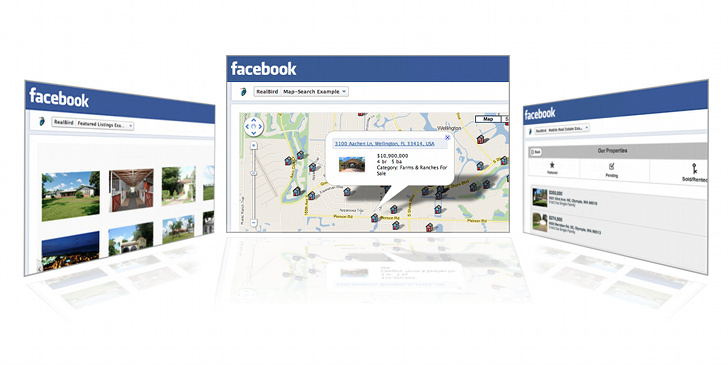 As a RealBird PRO member, you can add your map-based property search application to your Facebook Page. Your fans can search for homes for sale or for rentals with your private labeled, interactive search engine and request more information or schedule showing for any of them. 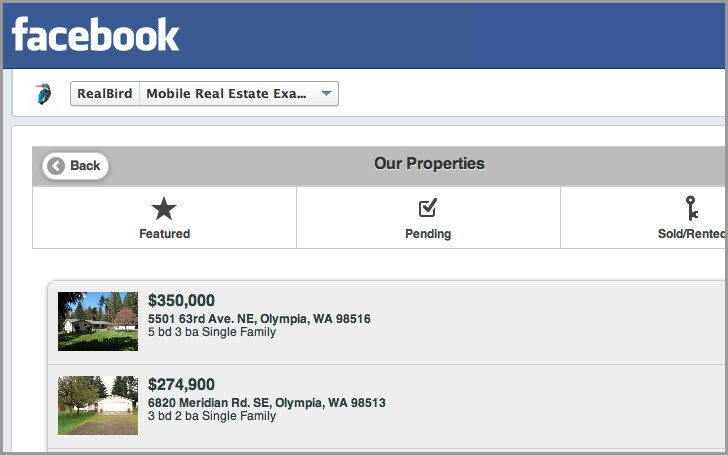 Embed your RealBird Mobile Real Estate Website in your Facebook Page as an interactive widget. Users can see your active, pending and sold properties, search for homes and read your latest blog posts. The application also shows your mobile site's QR code for easy bookmarking on phones.